India’s infrastructure needs are huge and offers decades of opportunities for the building and construction sector. The growth of the Construction Equipment (CE) sector is directly proportional to the economic growth and development of infrastructure in particular. India aims to invest one trillion dollars into the infrastructure development of the country comprising roads, ports, airports, industrial corridors, etc. Building 100 Smart Cities itself promises billion dollar opportunities for all the stakeholders of the construction sector. 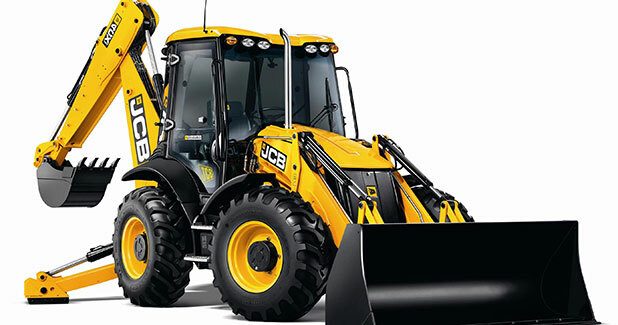 The earthmoving segment has been in the forefront of driving the overall CE segment in India. Backhoe Loaders and Hydraulic excavators account for almost half of the Indian CE market. The demand is expected to be largely driven by government-backed infrastructure projects. The CE industry Sandeep Sharma takes a look at the CE industry in India. India is amongst the fastest growing destination as far as development of Infrastructure is concerned. There is plethora of both public and private sector infrastructure projects which augurs well for the CE industry in India. The demand trends are in the positive territory for large number of construction equipment that is highly productive, easy and safe to operate. Indian market is dominated by the six most popular equipments such as backhoe loader, crawler excavators, mobile cranes, mobile compressors, wheeled loaders and compaction equipment. According to the Indian Construction Equipment Manufacturers’ Association (ICEMA), an affiliated body of Confederation of Indian Industry (CII), the Indian Construction Equipment (ICE) industry has shown signs of positive growth in FY2015-16. As per ICEMA report released in November, 2015 titled ‘ICE Industry Vision 2020’, the current size is US$ 2.8 billion and is expected to grow to US$ 5 billion by 2019-20. The After Sales Spares market is about US$ 800 million and is a major source of income and employment opportunity for SSI manufacturers and service providers. Off-Highway Research further states that in 2015, the global equipment volumes fell 16.6 per cent to 685,536 units. The weakening of the Chinese economy and Lower commodity prices worldwide led to the fall last year. The sales of construction equipment in China dropped for the fourth year in a row by 43 per cent to 119,717 units. Off-Highway Research expects that this will represent the bottom of the market, with moderate growth expected to resume in 2017. There were also declines last year in rest of the world markets (Africa, Latin America, the Middle East and Asia excluding China, India & Japan), with construction equipment sales falling 19 per cent to 158,855 units. Weak economic conditions are expected to see a further fall to 153,764 units this year, before markets pick up in 2017. The bright spot among emerging markets last year was India, with construction equipment sales rising 2 per cent to 37,465 units. More substantial growth is expected in the coming years, with demand for construction equipment to reach almost 60,000 units by 2020. The European construction equipment market grew 2 per cent last year to 127,411 units. This was the strongest sales have been since 2008, but demand was still significantly below the pre-crisis peak. Further single-digit growth is expected in the coming years, which should see demand rise to 136,380 units by 2020. Meanwhile, the North American market retreated from the peak which was seen in 2014, with a 2 per cent decline in sales to 167,255 units last year. A further fall is expected this year, before growth returns. There was a similar picture in Japan last year. Having reached a high point of 90,830 units in 2013, there was a 11 per cent fall in sales in 2015 to 74,833 units. The market is expected to level-out this year, with more sustained growth following from 2017 onwards. The challenges before the CE players are multi pronged. The first challenge is to utilise the capacity built over the boom period. Secondly, innovation is not a onetime process, it has to be carried out as an ongoing activity and showcase the same with the launch of new products which are more robust and efficient. Thirdly, the industry growth very much depends on the debottlenecking of the existing project pipeline. Some of the other challenges include the shortage of skilled operators in India mainly in heavy earthmoving equipment, availability equipment financing at attractive interest rates, absence of robust used CE market. Last but not the least, the renting options are limited to the consumer. The users of Construction Equipment in India are looking for total product solutions in terms of quality, reliability, durability & its cost effectiveness. The CE players will have to meet the growing technological demands of the end user. Customers of CE look for well-defined parameters such as Efficiency, Reliability, and Durability in order to ascertain their superior quality standards. The challenge for the manufacturers and vendors of CE is to present a unique mix of latest technology, functionality, and quality that guarantees best operational results in the real work environment. Safety is another focus area for all the construction equipment manufacturers. Companies are now deploying technology which will ensure proper safety of the operator as well as the machine. In the coming years, that equipment which are fuel efficient and provide enhanced features based on the customer needs will be the winners. Indian Construction Equipment Manufacturers’ Association (ICEMA) has projected that the ICE industry will touch an output level of 70,000 units by 2018-19. The overcapacity built in the past few years is likely to be used up by then. According to 6Wresearch, ICE market is likely to touch 1, 31,000 units by 2022. The market declined during 2012-2014 mainly due to delay in project clearances and in certain cases owing to land acquisition issues. After the new government was sworn in, things have started moving in the fast lane, the stalled projects are being discussed and attempts are made to remove all kinds of obstruction in the path of project execution. With the huge investment in the infrastructure sector in the coming five years, the demand for CE is definitely on the upsurge. Rapid exp­ansion and development of airports, ports, metro rail, steel plants, high-rise building, shopping malls, roads/highways/bridges, dams and manufacturing hubs is ultimately pointing to steep increase in the demand of Construction Equipment. The Government role as an enabler can go a long way in the growth of CE segment in India. GST and Land bills clearance and creation of separate regulatory framework and legislation mainly for off-highway equipment can make huge difference in putting the CE sector on the path to progress.